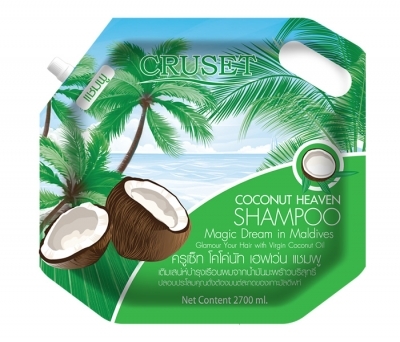 Cruset Coconut Heaven Shampoo 2,700 ml. ครูเซ็ท โคโคนัท เฮฟเว่น แชมพู 2,700 มล. Glamour Your Hair with Virgin Coconut Oil. Nourishing Shampoos with the scents of happiness as bring you to magic dream. With Pro vitamin B5 and Coconut Oil. 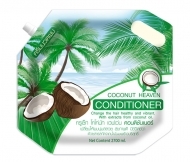 Cruset Coconut Heaven Conditioner 2,700 ml.